Sugar Camp-Pointe Oakwood is part of the 34 acre, multi-living use facility, Sugar Camp. The master plan for the community includes over 20 single family home sites, 20 attached condominium units, a 88 unit assisted care facility and a professional office park. Call Teri Lussier, Realty Central, 937.343.1411, for details on how to make Sugar Camp-Pointe Oakwood your new community. One of the perks of living in Dayton is home prices that are the envy of the rest of the country, but buying a lower priced home isn’t always as easy as you might think. But never fear- you do have some options, and I’m here to share them with you! Find the perfect Dayton Ohio home for sale! Search the Dayton Ohio MLS system to find just the home you are looking for. Sign up for listing alerts so as homes that meet your needs come on the market, you can be alerted via your email inbox. When you are ready to contact me, I’m just a phone call away.  Theresa Lussier, Dayton Realtor, THE HOME GROUP REALTY, 937-478-7781. Selling a home in Dayton Ohio? The Home Group Realtor Teri Lussier can craft a unique marketing plan just for you!